When it comes to buying aquarium equipment there are tons of brands on the market. With filter especially it’s hard to know just what you need or what’s too powerful. You are also looking for a brand that will hold up for years to come. We know shopping for your fish can be frustrating. We want to help alleviate the stress of picking your new filter. 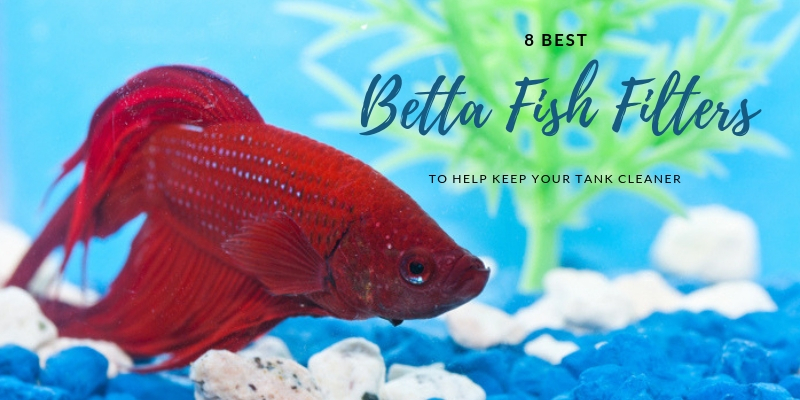 We have gathered up the 8 best betta fish filter on the market. These filters are sure to keep your water cleaner and betta healthier. Below, we give you a short description and list the pros and cons of each filter. Betta fish have long lives under the myth of being a fish you can just stick in a bowl. For years they were even sold with plants as their food source. Now that information has become more readily available on the breed we know they need more. In the wild Betta Fish life in the rice paddies of Asia. These fish love shallow water and to be surrounded by plants. While the plants to help keep the water clean, no fish lives in still water. There is a continuous flow of water no matter how small in there natural environment. When in captivity, your Betta isn’t going to be happy in stagnant water. Water that sits is also more prone to causing your Betta health problems such as diseases and parasites can thrive much easier. It can also help to alleviate fungi from the tank. By introducing a filter to your fish is the environment you are creating moving water. This can make it harder for bacteria to grow and infect your fish. The fish will also be happier as the water will be kept much cleaner. This can even help your Betta live longer. While it is true that a Betta can survive without a filter it can cause more problems. A filter is a great device for making your life easier as well. When using a filter you don’t have to worry about cleaning your tank as often. Finally, adding a filter is easy. 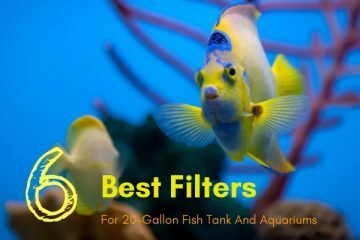 Most filters simply hook on to the side of your aquarium. No complicated install or trying to put a machine together. Just about anyone can add on a filter to there Bettas tank without much of a fuss. The Aqua Clear – Fish Tank Filter – 5 to 20 Gallons – 110v is perfect for providing your betta with clean water. 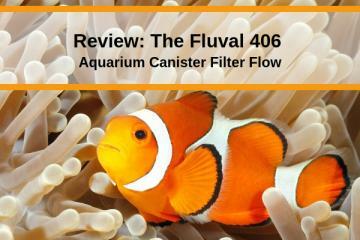 This filter is rated for tanks between 5 to 20 gallons and has some great features. Its low cost combined with it’s easy to use design will make you fall in love. This is a hang on filter meaning that it hangs off the side of your tank. This filter isn’t made to be submerged in water. It’s made with an easy to hook design to fit any tank. There’s no complicated installation, just pick where you want it. This filter features 7 times the filtration power of its competitors. This helps to ensure your fish’s water stays clean. 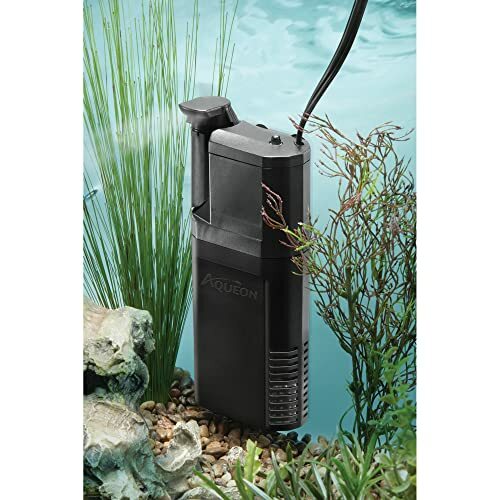 To help give you quality filtration this filter comes with AquaClear Foam, Activated Carbon and BioMax and Cycle Guard. Finally, you can look forward to having a 2-year warranty with this product. The system also has an adjustable water flow. This helps out just in case the flow is too strong for your fish. The company recommends that you clean this filter out every two weeks for best performance. As with most good things, there are always a few downsides. This is a rather noisy filter, especially if your water gets low. It also has a tendency to lose it’s suction when the water is low. This can be avoided by keeping an eye on your water levels. 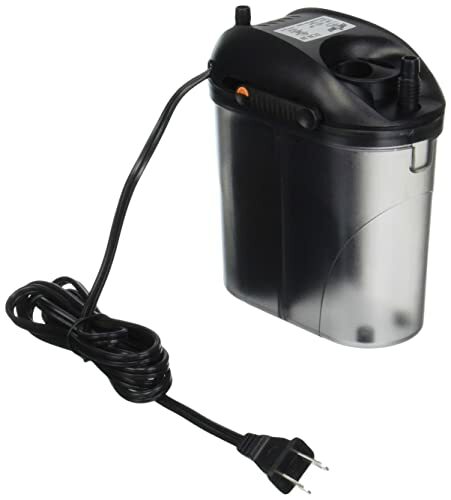 The Zoo Med Nano 10 External Canister Filter is a great filter for smaller tanks. It can work in some of the smaller nano tanks available on the market. This makes it easy to integrate the filter into just about any betta environment out there. 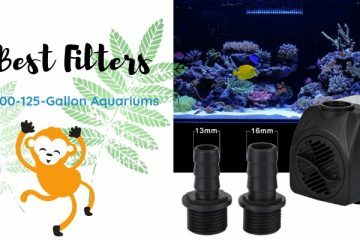 This filter can even be used in a saltwater aquarium with ease. The filter uses three different types of media to give you crystal clear water. It uses biological, chemical, and mechanical filtering. The filter head on the system is also easy to open. Inside of this package, you will get a spray bar system for better aeration and a mechanical filter sponge. You will also receive both bioceramic filtration media and carbon chemical filtration media. This will give you everything needed to set-up your new filter. This filter is also made to be small. It doesn’t take up much space and is easy to install into your tank. This makes it perfect for any level of hobbyist looking for a cleaner betta tank. As an added bonus, this filter also lets you adjust the flow of water coming out of the system. There are some cons, however. This filter isn’t the most durable one in the world. It will start to break down after about a year of continuous use. It’s also a little bit weak for bigger tanks. Remember to keep the filter clean to keep it working properly. 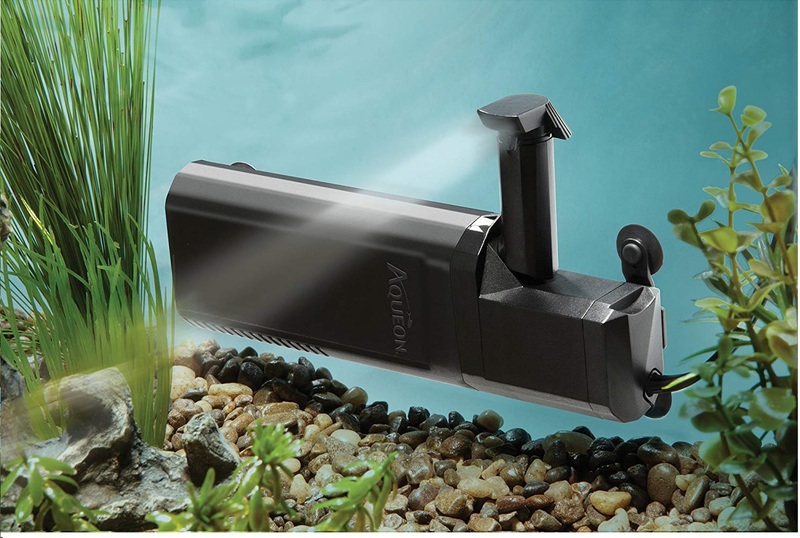 The Aqueon Quietflow Internal Power Filter is a submersible filter you will love. This filter is durable so that you can use it for years to come. It also is quiet so make an annoying sound that keeps you up at night. This filter is completely able to be submerged in water. This filter works with up to a 10-gallon tank of water.It has an adjustable flow rate just in case the flow is too powerful for your Betta. You can also adjust the height in which the water flow comes out at. This filter is easy to install to the side of your tank using suction cups. Just stick the filter on the side of the tank that’s will be least in the way. Afterward, only remove the filter for monthly cleaning times. If cleaned properly this filter should keep your water perfectly clear. So what are the downsides of this product? This filter can be a little too gentle times. While the gentleness may be good for some fish, but may not be powerful enough to clean a 10-gallon tank. The Penn Plax Cascade Hang-on Aquarium Filter with Quad Filtration System is perfect for small tanks. This filter can clean tanks up to 7-gallons of water in size. This makes it perfect for smaller betta fish environments that don’t take up much room. This unit can work for both saltwater or freshwater environments. It filters up to 20 gallons per hour of water. This filter attached to the side of your aquarium. Because of this, we don’t recommend getting this unit wet as it could malfunction. This filter uses an activated carbon media. It also has a sponge layer that acts as a biological filter. This layer helps grow helpful bacteria that can keep your tank in balance. These two types of media combined will give you crystal clear water that your fish will love. Finally, this Builder also has a floss cartridge. This helps to catch any debris that have floated into the filter. All his combined with the 3-year warranty will have you set for years to come. If you have any trouble with this filter just contact customer support to get a replacement. What are the downsides though? This unit isn’t really quiet and may annoy some you. I don’t recommend using this filter if you have the tank in your bedroom. The loud noise is enough to keep you up at night. 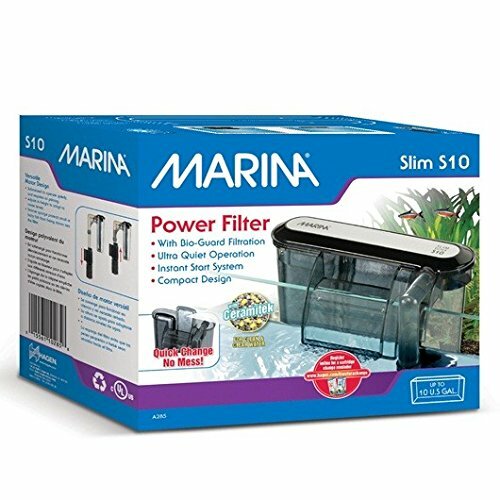 The Marina Power Filter is a cheaper solution to a dirty tank. 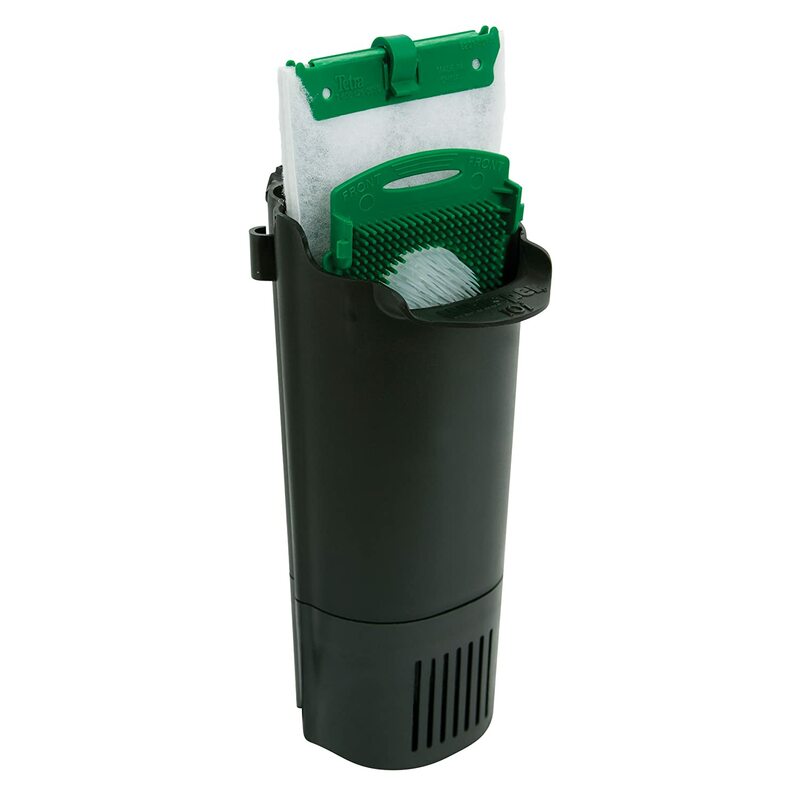 even with its small compact size is filter is sure to make your water clear. It’s perfect for small tanks and won’t take up too much room on them. This is especially perfect for low activity Betta Fish. 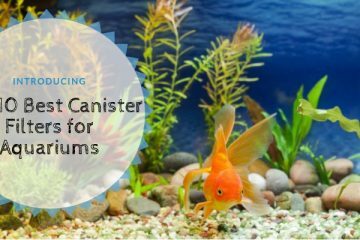 This filter works on aquariums up to 10 gallons in size. It doesn’t have the most powerful flow ever but it’s perfect for easy going fish. It also has an adjustable flow dial to help control the fish’s environment. This can be perfect if you don’t know how active your Betta is. This filter uses two different types of media to help keep your tank clean. It uses a bio-clear and a bio-carb cartridge. These cartridges are made to promote the growth of healthy bacteria in your tank. The filter is self-priming. It is also easy to install into just about any tank out there. The quick installation process will have the unit up and running no time. In fact, someone with little to no knowledge of aquariums will have no problem with this unit. There are some slight downsides to this unit though. For starters, it’s on his adjustable as some people may like. That means you won’t have complete control over the water flow. It’s also a little bit noisier than some people may like. 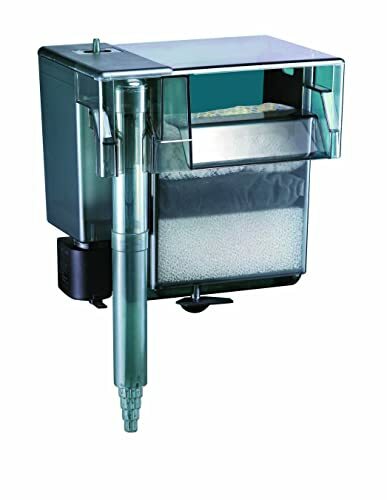 The Tetra Whisper in-Tank Filter with BioScrubber for Aquariums is one of the best Betta Fish filters. This filter is perfect for tanks after 10 gallons in size. It’s also General enough three years of most types of Betta Fish out there. This filter is designed to be quiet. You can use this filter even if your tank is in the same room where you sleep. this is because the motor is under the water so it can’t create as much sound. In fact, this whole unit is supposed to be submerged within your tank. This filter primary uses biofilters to clean the water. In order to attach it to your tank, you’re going to have to use either suction cups or hangers. Both the brackets and the suction cops will come free with your purchase. 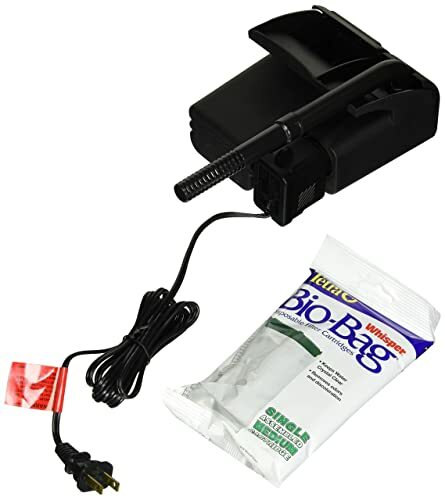 This unit will come with your first first biobag to get you started.you want to change out the cartridge rarely in order to keep crystal clear water. The filter can function in as little as two inches of water. This makes it perfect if you want to use it in a terranium. Not surprisingly this unit isn’t perfect. This filter clogs rather easily when it isn’t cleaned. This can become a hassle if you get busy. You also shouldn’t expect this filter to last forever. It’s a great cheap option that will last you for a few years. The Tetra Whisper PF10 Power Filter, Quiet Three-Stage Filter is great for larger Betta Fish tanks. This filter best filter performs best in tanks that are 5 or 10 gallons in size. It won’t work well in smaller tanks and will be too powerful for the fish to swim. This unit uses a medium size of cartidges. This filter uses a three-stage filtration system to get all debri out of your water. These three stages use mechanical, chemical and biological media. You will need to change the media out once a month to keep proper water flow. This filter clips on to the side of your tank and can’t be submerged. We reccomend you keep this filter decently dry to avoid any damage. The filter is pretty easy to attach onto the side of your tank. There are no complicated installation instructions with this unit. While this filter is simple you need to keep it clean. If you don’t properly clean this filter you will notice a different in flow rate. Simply remeber to change out the cartidges on time and wipe everything down once a month at least. Even with this simple filter there are some downsides. When the water level is low this filter will make some noise. This can be avoided by keeping your tank mostly full. The filter can also be touchy when cleaned and is easy to break. 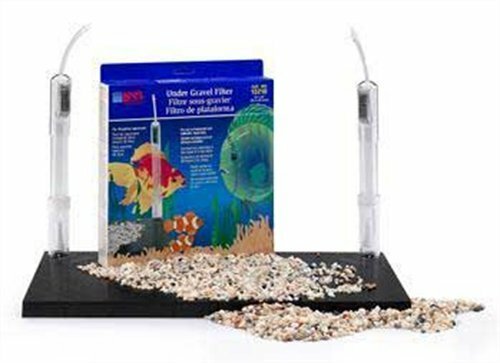 The Lee’s 15/20 Original Undergravel Filter, 12-Inch by 24-Inch is a great filter for Betta fish. 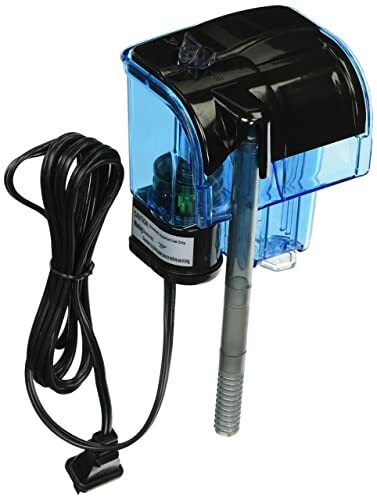 In fact, this is one of the best betta fish filters avalbile. It’s one of the most durable models on the market and is easy to install. This filter is made to be extra durable. It uses high-quality plastic to keep from breaking your cracking like many other filters. This helps keep this filter around for years. This saves you time and money with buying replacement filters over the years. This filter can also be set up to be used with a powerhead. The most interesting aspect about this filter is how you install it. This filter actually should be placed under the gravel of your tank.This helps how to filter should give your tank a more sophisticated look. The filter uses uptake tubes to help cycle the water through. This filters unique desing makes it stand out on our list. Just remeber to check on it monthly to make sure it’s still running properly. The gravel covering makes it harder to look for possible issues. This filter does have a few cons. For starters, it can be hard to dig out and clean compared to other filters. It also uses a small carbon filter that can be troublsome to find. Overall, this filter works well, but is hard to perform matience on. Now that you have read through the great suggestions above your probably wondering which filter is perfect for you. There are a few different things to consider before you purchase a new filter. With this buying guide, you can pick the best Betta fish filter for your home. To begin selecting your filter we will need to know the size of your tank. Filters are going to be rated by the gallons your tank can contain. If you get a filter rated for higher tanks the water flow will be too strong. 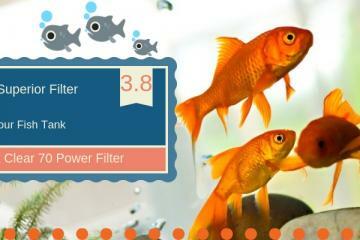 If you get a filter that isn’t powerful enough then it won’t do much good for your tank. You will also need to look into what type of cartridge your filter will use. Cartridges should be replaced around once a month. There are three main types of media used in filters carbon, biological, and mechanical. If possible it’s best to buy a filter that uses more than one type of media. Next, you may want to think about extra features. Do you want a filter with a dial to control water flow? Some fish may be more sensitive than others and controllable water flow will be perfect for them. This is great for fish who tend to get pushed around easily. You may also want a filter that is quieter than others. This can especially be true if you keep your tank in your bedroom. While filters aren’t generally too loud, there are some people out there who just can’t stand the sound of the motor. Remember that every Betta Fish is going to be different. If your fish seems like it’s having trouble swimming the filter may be too strong. When adding a new accessory to your aquarium be sure to watch for any signs of distress in your fish. Be sure to take everything mentioned above in the buying guide. The list above contains some of the best Betta fish filters on the market. Each filter has it’s own pros and cons, but will perform well to keep your tank clean for long periods of time. Make sure you pick out a filter that is the proper size for your tank. If you don’t know how many gallons your tank holds then measure it out next time you change the water. By providing a filter both you and your fish will have a much easier time.